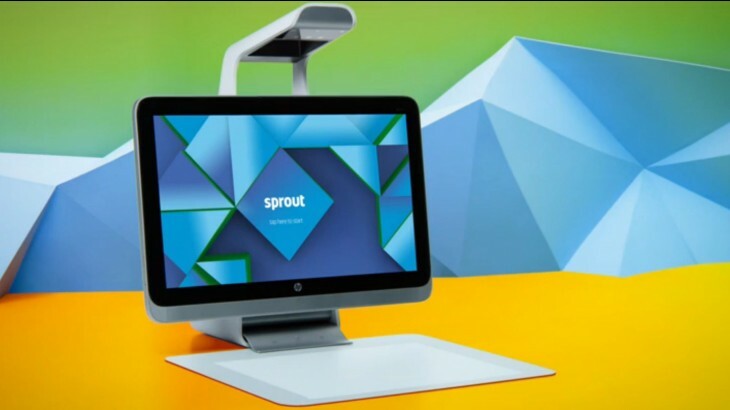 HP is ditching the keyboard and mouse today with it’s quirky new computer: the HP Sprout. At its core its a touch-enabled Windows 8 all-in-one, but it’s the way you interact with it that makes it unique – the computer comes with an in-built projector, a ‘touch mat’ where said projector displays images, and a 3D scanner to place real objects onto your virtual workspace. The touch mat supports pen input, and is meant to help designers and creatives be able to naturally integrate real world objects into their virtual creations – it’s like an integrated Wacom tablet on steroids. Objects can be passed between the two displays with gestures so you can interact them with them via specialized software. The hardware array consists of a 14.6MP camera, a DLP projector, a RealSense 3D scanner, and an LED desk lamp. The device’s software meanwhile runs on a Core i7 processor, 8GB of RAM, and 1TB of storage, and features a 23 inch 1080p touchscreen display. It’s a pretty futuristic take on the computer for a company that’s been more recently associated for pedestrian projects. How well it does will hinge heavily on how good the software behind it is, but it sure does look cool in the demo videos. The computer goes on sale today for $1899.